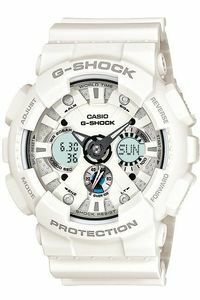 From G-SHOCK, the watch brand that is constantly setting new standards for timekeeping toughness, come new models with garish coloring. 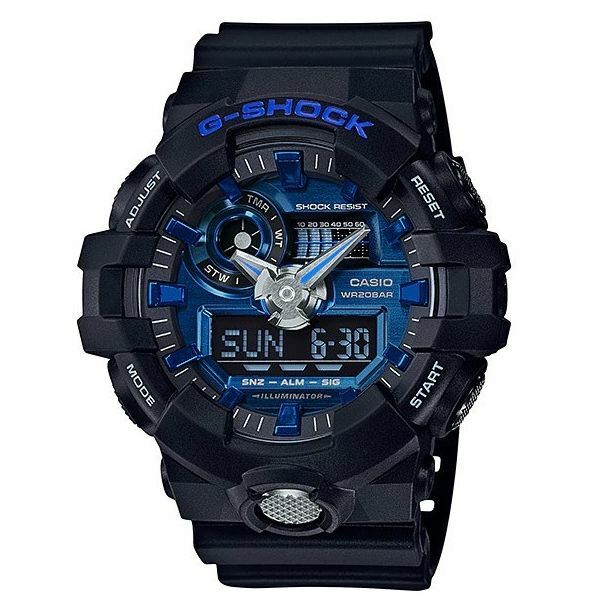 The base model is the GA-700, which uses original resin molding technology that makes it possible to form analog hands, dial, and hour markers of resin that shines like metal. This lineup create the image of the accessories or fashion items worn by b-boys. The black and gold model has an overall shiny finish for a tough and energetic look. 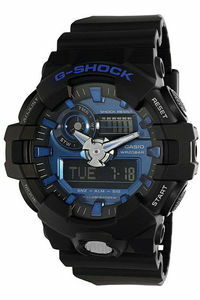 From G-SHOCK, the watch brand that is constantly setting new standards for timekeeping toughness, come new models with garish coloring. 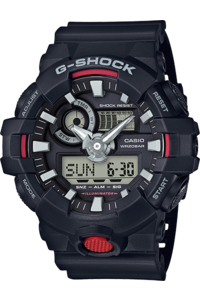 The base model is the GA-700, which uses original resin molding technology that makes it possible to form analog hands, dial, and hour markers of resin that shines like metal. This lineup create the image of the accessories or fashion items worn by b-boys. 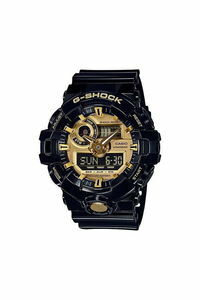 The black and gold model has an overall shiny finish for a tough and energetic look.